“[I do] Track and Field, tennis, and dive,” Sophomore Lauren Barnett said. Barnett does all three of her sports through Liberty North. “It gives me something to do in my free time and I like being involved in the school,” Barnett said. Barnett is involved in track and field, tennis, and dive. “I’m not very good at [tennis] but it is still fun,” Barnett said. Even though Barnett is very busy she manages to make time for things like friends and schoolwork. Barnett said her parents are supportive of her sports. “I just try to plan well with all three practices. Sometimes[finding time for friends is hard] but It usually ends up working out,” Barnett said. Barnett did cheer in eighth grade where she met her friend Regan Burgess. “[I met Lauren] in eighth grade. We were both in school cheer. She was a little shy at first but when we became actual friends and hanging out every night she was free,” Burgess said. Barnett’s friends say that she is very nice. “We all have a lot in common and they support me with everything I do. [I look for] honesty and loyalty [in a friend],” Barnett said. Barnett is involved in STUCO. “[In STUCO] I’m in the school spirit group so we plan pep rallies,” Barnett said. Barnett and Burgess are both involved in HOSA. “We learn about different medical careers that we plan on going in to,” Barnett said. 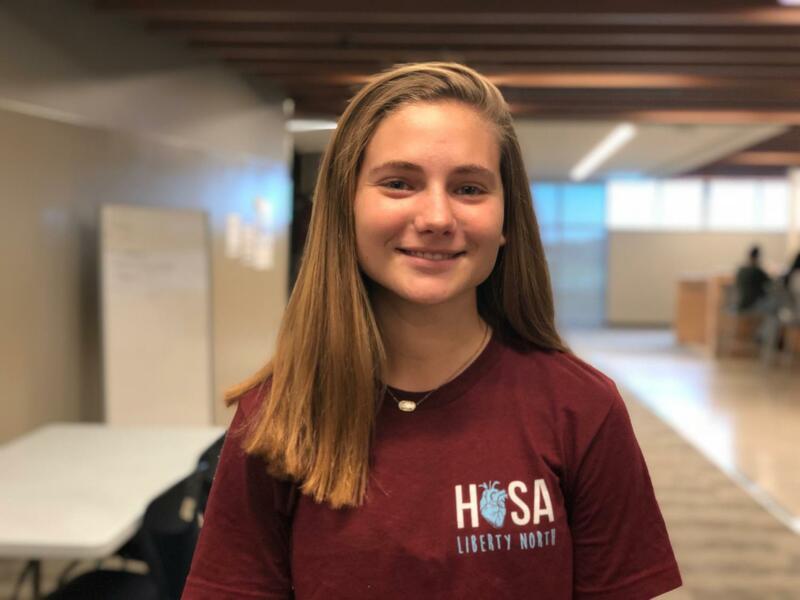 Barnett is not sure what she is going to do in the future but she will have the knowledge about medical careers through HOSA. The HOSA organization says HOSA provides a unique program of leadership development, motivation, and recognition exclusively for secondary, postsecondary, adult, and collegiate students enrolled in health science education and biomedical science programs or have interests in pursuing careers in health professions. “This is the first year I have done it, but it is really fun. All the activities we do are really fun. It’s good if you want a job with medical stuff because you can do like breakfast with professionals,” Burgess said. Barnett’s friends say that she is very funny and nice. “We all have a lot in common and they support me with everything I do. [I look for] honesty and loyalty [in a friend],” Barnett said.